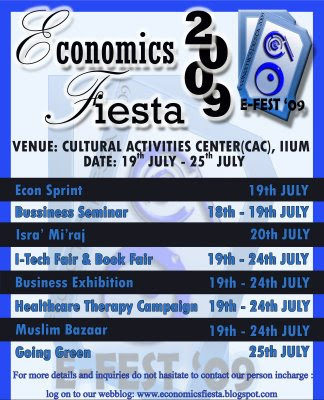 I will not updating my blog for a few weeks due to this event. 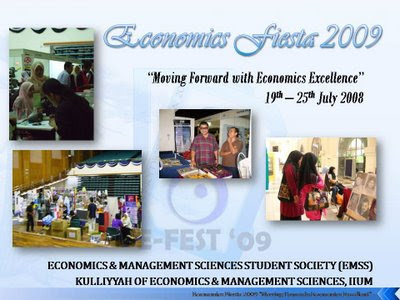 Sorry for that..
Economics Fiesta 2009 or E-fest will be organized by Economics and Management Science Society which is under Kuliyyah of Economics and Management Sciences, IIUM. If you want to see Helang, insyaAllah I will be here..